Today I have another guest review to bring to you all. 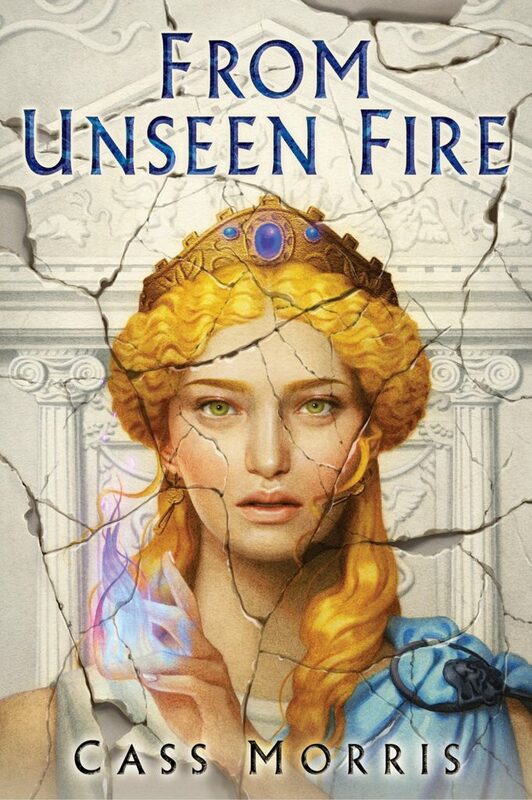 It’s a review of From Unseen Fire a book I received from the publisher but has been on my list for months now – especially as it fits into the Sirens Reading Challenge! How would you categorize a book which follows the lives of people in ancient Rome? And what if that same book also focuses on the intricacies of campaigning for political office in a democracy? Cass Morris takes it even further in From Unseen Fire and even adds magical aspects to create a truly amazingly unique story. The main focus lies on the two main story characters, Sempronius Tarren and Latona Vitelliae, whose lives could not be any more different. As a man, Sempronius is awarded the freedom to pursue political office, but he must hide his hidden magical talents to do so. Latonia, on the other hand, can openly proclaim her gifts, but she may not strive to be more than a devoted wife to her husband. From Unseen Fire perfectly captures the struggles of men and women living in an ancient civilization with the intriguing twist of magical elements. It appeals to fans of historic and fantasy fiction alike and is definitely worth a read. Find From Unseen Fire on Goodreads, Amazon, Indiebound & The Book Depository. Are you a fan of historical fiction? Do you have any recommendations for me?